When spring fever hits, it is easy to want to plant everything you can think of in your garden, as soon as you are able to work the soil. If you are a new gardener, it is common to make this same mistake. Planning out your garden by season, as well as by what you actually eat, will make your life so much easier. Many people don’t realize that certain vegetables grow better at certain times of the year. I use this book to help ensure those seeds and seedlings are planted at just the right time for my location in Texas. Planting peas and cabbage at the same time as tomatoes and peppers isn’t really necessary. If you get your timing right, you can grow more and stock your pantry and freezer to feed you through the winter months. The fist thing you need to do to plan your garden is know your garden zone. Some plants do better in tropical climates while others do great in colder climates. Know your zone and that will tell you about how long you have to provide the best conditions for the vegetables you want for your spring gardening. On the back of my packet of radish seeds, it says it takes 20 to 50 days for them to reach maturity. So I know I need to time them so they are ready before the hot summer months when they won’t do as well. Keep in mind, many vegetables can be started inside as well. Or you can buy plants instead of starting them from seed. The advantage of this is, you can harvest your vegetables sooner while the growing conditions are ideal. The next step in planning your garden is to make a list of what you actually eat. Some of those items may not be reasonable to grow in your area, so cross those off your list. For example, I can eat a lot of avocados, but I am unlikely to be able to grow any in southeast Wisconsin. In Florida, however, they would be a more realistic possibility. I started lots of lettuce indoors this year because we love salad. That would have given me a jump-start on the season because I could harvest them early while re-seeding every two weeks. I would have had a continual crop of salad greens all year until frost, except the rabbits got into my garden (arg!). Now I will have to either buy starts or restart from seed. In the meantime, I have to buy salad at the store. Clearly my planning this year was not thorough enough. Never underestimate the value of good fencing. Once you have your list, you can do a little research to see what weather conditions those foods grow best in. Since it is spring, you will want to choose vegetables that are considered hardy or semi-hardy. Now, here is the trick. Think about which of these vegetables are the ones you really eat a lot of. Which ones can you grow, not only to eat fresh out of the garden but to preserve for the future once the garden is done? For example, I have never tried salsify, so I have no need to grow it. I also can’t stand beets, so there is no chance I will want to grow them! On the other hand, my family eats a ton of broccoli, so if I can grow a lot of it, I can freeze it for use during the winter. Taking into consideration what my family eats, my spring garden will have lettuce (we go though unreal amounts of salad in this house), broccoli, spinach, onions, and asparagus. You might also want to research which varieties will attract bees since some plants rely on pollination to produce fruit. As a caveat, I have to mention, you obviously can’t freeze lettuce to use during the winter. I am pretty sure you would not like the resulting salad. However, you can grow salad greens in your house in the winter, which will be the topic of a future article. Another thing to keep in mind is this: You may not be able to grow an entire year’s worth of vegetables in one season unless you have a very big garden. But guess what? These same vegetables can be grown in the Fall garden. 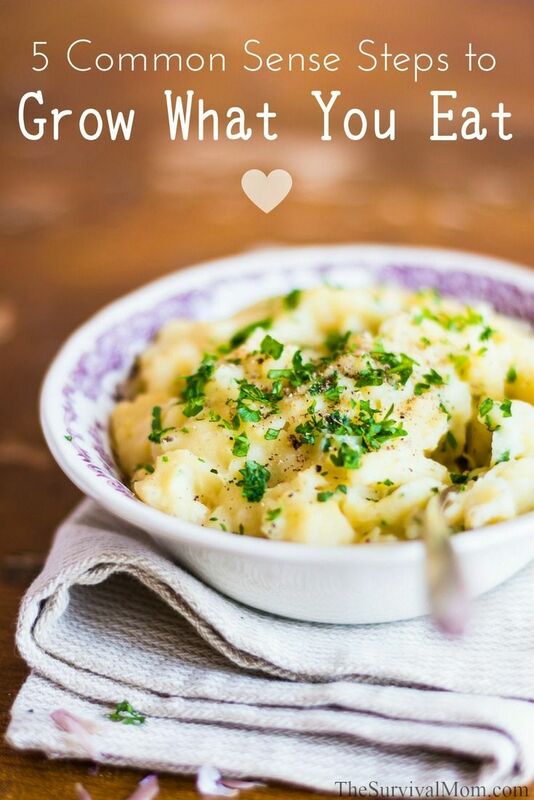 That gives you two growing seasons to grow as much as you can of your favorite vegetables. It may take a few seasons for you to figure out exactly how much you need to grow to provide for your family’s needs, but the more you are able to grow yourself, the less you have to buy. And I am sure you will agree, the more self-reliant you can be, the better. Once you have an idea of how much you need to grow to provide for your family, you may want to consider experimenting a bit. Even though I have never tried salsify, I might want to see what it’s like. Since I already have my basic Spring garden plan, I know where I can squeeze it in without taking away from the space needed to grow what we actually eat now. That way if we don’t like it, I don’t feel like I wasted space in my garden. Each year’s garden catalogs make everything seem so tempting. Consider trying something new each year and you may quickly find some new favorites. What are your favorite spring vegetables? 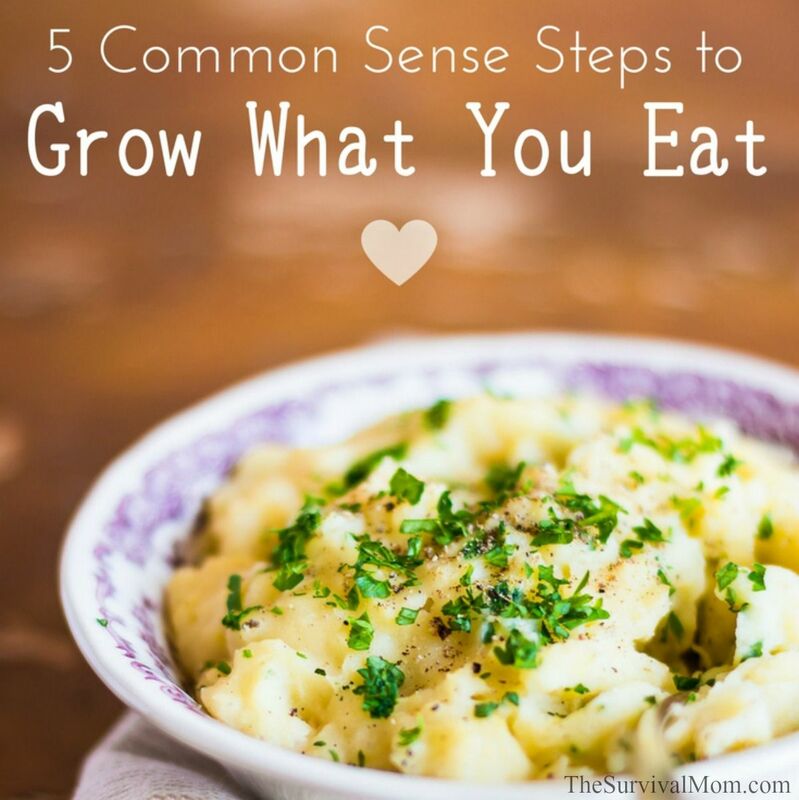 Are you able to grow enough for your family for the whole year? I confess, I buy more than I plant and my eyes are bigger than my garden! Thankfully, here in Texas, we have two growing seasons. If I’m slacking in the spring, I can make up for it later. I love your website! up here in Saskatchewan we are lucky to have one good growing season a year. we have to be careful about the last frost day in spring and plant quick maturing crops. some short season crops can be started later, say late June or July so I keep a spot open for them in the garden plot. I love growing tomatoes. I actually use the topsy turvey like the one you see on tv. It actually works. I love it. We tried that one year and had mixed results. However, we lived in Phoenix at the time and if you’re not careful, the summer heat will kill just about everything. We live at a higher altitude in the Northwest and have found row covers to be a good investment for extending the growing season. I used to use hot caps in the spring and tarps in the autumn but row covers are much easier. They could also be used with shade cloth for southern climates to help with heat and evaporation. Hi! Can you provide some input on planting veggies and fruits in pots? I live in a condo and just planted tomatoes, strawberries, and herbs in pots on my balcony. I would love to branch out and plant more edible plants but am unsure which ones would do well in pots. We eat lots of veggies in my house and cutting back on grocery bills by planting and growing our own would be nice! Mother Earth News had an article 5 or more years ago about a guy who produced 6200 pounds of fruit and vegetables on 1/5 of an acre. He mixed vegetables that would grow together well. I recommend a book “Carrots Love Tomatoes”. I have a house in Virginia on an acre and a third. I have 54 berry bushes, 11 fruit trees several garden beds. The back of my house faces east so there are no ornamental plants just beds of vegetables. The east sun heats the back of the house and garage so I have broccoli heads and tomato plants with blooms in these warm beds. Also right out my back door we have a salad greens bed that has all our goodies for fresh salad. We want a salad we open the door, pick what we want, wash it and have greens picked minutes before. Without hope for a comfortable retirement, I plan to produce what food I need to keep alive. I also know from working with the Montagnard of Vietnam that there are legged things you can eat many would not approve of. I’m always having problems getting bell peppers to grow. Any ideas would b greatly appreciated!! Bell peppers can be tricky to grow, which I was surprised to learn. It needs about 30% shade during the day. Also, try fish emulsion or a seaweed fertilizer. Good luck! I have a good sized aquaponics system 6 large bays for growing. I’ve killed a lot of plants in it because the pH runs about 8. I can successfully grow celery, it went crazy, kale, the eggplant looks promising, canteloupe died, tomatoes, eh! and I’m just starting leaf lettuce. I would sure appreciate any advice about what other vegetables grow well at that high pH!